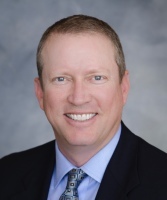 Dr. Armitage is a clinical pathologist with 20+ years experience in blood center operations and administration. He has an abiding interest in donor recruitment & is a past president of ADRP. 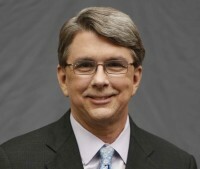 He serves on the Board of Americas Blood Centers and is Immediate Past Chair of Blood Centers of America. For the last nine years, Joe Ayer has served as the Manager of Recruitment and Regional Director of the Northern Regions and a corporate Project Manager for BloodSource. Previously Joe held positions throughout California with the American Red Cross. 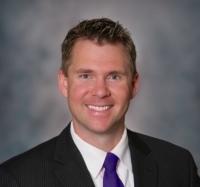 Mr. Ayer is a graduate of Chapman University with a BA in Organizational Leadership and an MBA from Brandman University. He holds a graduate certificate in Nonprofit Marketing and Fundraising from California State University, Long Beach and is a Leadership Fellow of the Sierra Health Foundation Health Leadership Program. In his free time, Joe teaches graduate courses at Brandman University in organizational leadership and nonprofit studies. 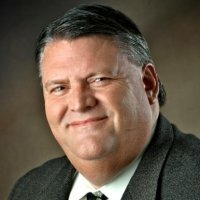 Joe also serves on many nonprofit and government boards and commissions. When Joe is not trying to figure out how to handle his farm of four acres, he and his wife Kara spend time with their four kids and regularly open their home to foster children in need. Dr Benjamin is a Professor of Pathology (Adjunct) at Georgetown University Medical Center, Washington, D.C. and a Board Member for the International Society of Blood Transfusion. He serves as the industry representative on the DHHS Secretary’s Advisory Committee on Blood and Tissue Safety and Availability. Appointed as Chief Medical Officer at Cerus Corporation in July 2015, Dr Benjamin is responsible for Clinical Development and Medical Affairs. He received his medical training in Cape Town, South Africa, pathology training at the Brigham and Women’s’ Hospital in Boston, a masters degree in Healthcare Management from Harvard School of Public Health, read for a Ph.D. in Immunology at Cambridge University in England and performed post-doctoral research at Stanford University, CA. Rick Chatelain has been employeed at The Blood Center in New Orleans for the past 19 years. He has served in numerous roles, from Laboratory Director, to Director of Hospital Services and Component Laboratory, to Projects Director, and now as Laboratory IT Manager. He graduated from the University of Louisiana in Lafayette with a degree in Biological Sciences, and performed his Medical Technology internship at the Ochsner School of Allied Health in New Orleans. He is a life-long resident of the greater New Orleans area where he lives with his wife and daughters. 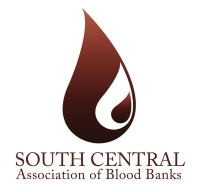 He is a member of the South Central Association of Blood Banks and is currently (until 6:15 this evening), it's 60th President. Dr. Chen received her MD and PhD degrees from Baylor College of Medicine. After completing her residency in Clinical Pathology and fellowship in Transfusion Medicine/Blood Banking, Dr. Chen held a faculty appointment at Baylor with research interests in hematopoiesis and clinical responsibilities in Transfusion Medicine. She subsequently joined the staff at St. Luke's Episcopal Hospital as Medical Director of the Molecular Pathology Section and Associate Medical Director of the Donor Center and Transfusion Service. Dr. Chen is presently on staff at Memorial Hermann Hospital providing Hemotherapy, a unique Clinical Pathology Consultation service. Until retirement in 2015, Dr Daniels was the Head of Reference Services at the International Blood Group Reference Laboratory, Bristol, UK. Previously he worked at the Medical Research Council Blood Group Unit, the unit established by Race and Sanger, the pioneers of human blood groups. Dr Daniels has published over 200 papers on human blood groups plus three editions of the textbooks Human Blood Groups and Essential Guide to Blood Groups. 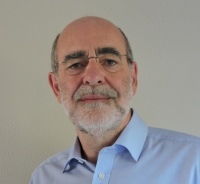 He has served as Secretary General of the International Society of Blood Transfusion (ISBT) and President of the British Blood Transfusion Society (BBTS), and received awards from the ISBT, BBTS, AABB (Ivor Dunsford Award), and the German Blood Transfusion Society. I have been in the Quality Department at BloodSource for 16 years, and during that time I have supported nearly every department within the organization. 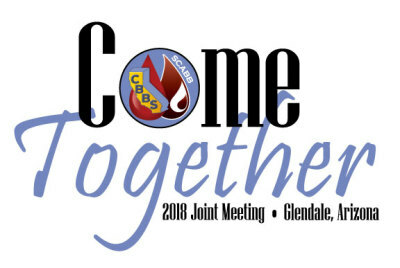 I have been a presenter with CBBS in the past, and have also had an opportunity to speak at the AABB Annual Meeting in Anaheim in 2008. I am an AABB Assessor, and am also a Lean Six Sigma Certified Yellow Belt. Theresa Dunning currently works for Kaiser Permanente as part of the Regional Laboratory Quality and Compliance department. She holds the position of Regionwide Blood Bank Practice Leader for Northern California Kaiser. She has earned a Master of Science in Quality Assurance from Dominguez Hills University, is a Specialist in Blood Bank, and maintains American Society of Quality CMQ/OE and CSSBB certifications. Theresa is an active AABB-CAP Assessor and participates in several professional organizations dedicated to the quality and improvement of clinical laboratory and transfusion practices. North Division Chief Medical Officer, Blood Systems, Inc.
Dr. Eastvold started his medical career in 1978 as a medical technologist at Loma Linda University Medical Center in southern California. 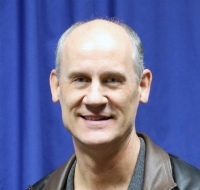 After 15 years of “Teck’in”, he decided to continue his education and complete a medical degree at Loma Linda University School of Medicine in 1995. He completed a 5 year AP/CP residency at Wake Forest University Baptist Medical Center, N.C. in 2000, followed by a transfusion medicine fellowship at U.T. Southwestern Medical Center at Dallas Texas in 2001. He has practiced blood banking and transfusion medicine over 39 years in six states and two countries, and is currently in Spokane Washington at Inland Northwest Blood Center as their Division Chief Medical Officer. He also holds the faculty position of Assistant Clinical Professor of Pathology at the Elson S. Floyd College of Medicine, just down the street from his office in Spokane, WA. 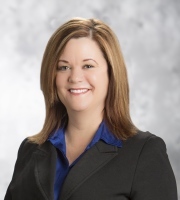 Laura Eickhoff is the Director of Learning & Total Compensation at BioBridge Global (BBG) in San Antonio, TX. Laura has over 20 years of Human Resource experience, with a focus on employee training, organizational development, and total rewards. She holds a B.A. in Foreign Languages, an Ed.M. in Human Resource Education, and is a current candidate for a Ph.D. in Organizational Leadership. She is PHR and CCP certified. Laura was born and raised in Italy and lived in The Netherlands for several years before finding her way to Texas. President, West Division, Blood Systems, Inc.
Steve Ferraiuolo has over 20 years of experience within a variety of leadership positions in blood banking. He currently serves as the President of the West Division for Blood Systems. Prior to joining Blood Systems, he held a number of senior leadership positions within BloodSource located in Sacramento, CA. 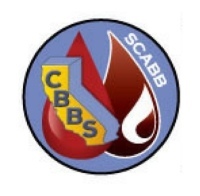 Steve is a past president of CBBS and of Blood Centers of California. 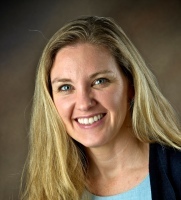 Dr. Gammon is a subject matter expert in the area of patient blood management. His programs provide hospitals with current evidenced-based transfusion thresholds, management of the transfusion committee and emphasize the importance of appropriate transfusions. Dr. Gammon holds Board Certifications in Blood Banking and Transfusion Medicine as well as Clinical Pathology. He is a Medical Director for OneBlood and Transfusion Medicine Specialists and an Assistant Professor of Pathology for the University Of Central Florida College Of Medicine and a Clinical Associate Professor of Pathology at NOVA Southeastern University College of Allopathic Medicine. Director of Laboratory Services, University Medical Center of Southern Nevada. Lisa has a passion for technology, streamlining processes, and innovation. UMCSN laboratory was named the runner up laboratory in the nation by Laboratory Medical Observer, in 2015. In 2016, UMCSN laboratory was the location for the video, “In Da Lab”. The video went viral and boasts over 5 million viewers on U-tube. UMCSN laboratory has been the site of several firsts in Nevada; the first full automation line and the first robotic specimen transport system. Lisa received national recognition from the College of American Pathologists in 2012, 2013, 2014, 2015, and 2016 for outstanding contributions relating to improving patient care. She has received awards for mentorship, leadership and diversity, specifically race relations. In addition to her work at University Medical Center, Lisa is an entrepreneur. She has owned a successful business since 1989 in Las Vegas, and currently serves as an officer on the Board of Directors. Lisa has been involved in, and supports many fund raising efforts. Her fund raising efforts have been community, and education centered. She has served as the fund raising co-chair for a Las Vegas private school, and has played an instrumental role in the Las Vegas Heroes Challenge Blood Drive. I have been in the blood bank industry for nearly 20 years. During this time, I've gained knowledge in many different areas of the laboratory. My roles have expanded from lab assistant, training, medical technologist, and, leadership. I obtained my certification in Medical Technology in 2006 and my Specialist in Blood Banking in 2014. As Regional Director, Ashley Herman oversees the recruitment and collections operation in the Central Florida region for OneBlood. She is responsible for compliance and the donor growth and retention in the area. 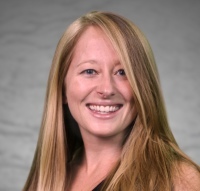 Ashley leads a team of over 160 employees and has worked in the industry for the past 9 years. Prior to OneBlood, Ashley worked in the pharmaceutical field. Ashley earned her master’s degree in Health Services Administration from the University of Central Florida in Orlando. Andy graduated from Bowling Green State University with a BA in Philosophy and American Culture Studies, an MA in American Culture Studies, and a Graduate Certificate in Women’s Studies. He worked in IT for several years for an art and design college in the SF Bay Area, and then pursued an MD at the University of Vermont. He has published several abstracts during his time in residency on topics ranging from passenger lymphocyte syndrome, thyroid non-invasive follicular lesions with papillary-like nuclear features, and diversity in medical education. He is currently the Section Editor for the ASCP Case Reports: Transfusion Medicine publication, and was the inaugural recipient of the Department of Pathology & Laboratory Medicine Resident Professionalism Award. He has a strong interest in Transfusion Medicine and Apheresis, and will be the Herbert Perkins Transfusion Medicine Fellow at UCSF for 2019-2020. 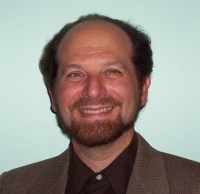 Dr. Steven Kleinman is Clinical Professor of Pathology at U. British Columbia, AABB Senior Medical Advisor and President of Kleinman Biomedical Research. His past experience includes blood center medical director (ARC, So Ca; 1982–1991), transfusion service medical co-director (UCLA , 1991–1995), and investigator in several NHLBI-funded multicenter transfusion medicine research studies. His main interest is the intersection of scientific investigation and policy development in the field of transfusion safety and emerging pathogens. His publications span the realm of basic science research, the epidemiology of infectious agents and modeling their transfusion transmission risk, laboratory test performance as applied to donated units of blood, and pathogen inactivation of blood components. Currently, he chairs the NHLBI sponsored Recipient Epidemiology and Donor Evaluation Study-III (REDS-III) Steering Committee and co-edits the transfusion medicine section of Up To Date. Matt Jones, went from being a three-time cancer conqueror, to relearning how to walk, to surviving a bone marrow transplant, to completing seven marathons on seven continents and yes that includes Antarctica! Matt was diagnosed with cancer on September 11, 2002. After spreading to the fluid in his brain doctors did not think he would live. At one point, Matt would slip into an unconscious state. Doctors at this time did not think he would live. Against all he recovered but due to complications in his brain he had to relearn how to walk. From the first step, he took after relearning how to walk, Matt visualized completing a marathon. His first marathon was the San Diego Rock N’ Roll. Followed by completing marathons in Rome, Tokyo, Perth, Cape Town, Antarctica, and Chile. Matt Jones is the founder of the R.E.A.L. Leadership Academy and was a PhD Candidate in Organizational Leadership. He is also the author of over ten books, including his newest one, “Happiness is a Marathon: 26.2 Ways to Stay Happy at Work and in Life. Over 19 years of experience developing and improving Quality Systems in Blood, Biologics, Cell Therapies, and Human Tissues. I am a native Texan. I went to medical school in San Antonio and completed an anatomic/clinical pathology residency program at UTMB- Galveston. After completing a transfusion medicine/blood banking fellowship at Stanford Medicine, I returned to San Antonio. I have been at BioBridge Global for 3 years. Dr Suchitra Pandey is Board Certified in Anatomic & Clinical Pathology and in Transfusion Medicine. She received her Medical Degree from Drexel University College of Medicine in Philadelphia, PA, and completed a residency in Anatomic and Clinical Pathology at the University of California, San Diego and a Transfusion Medicine fellowship at Blood Centers of the Pacific (BCP) and UCSF Medical Center. Dr Pandey is currently Senior Chief Medical Officer in the West Division of Blood Systems, Inc and is based in San Francisco at BCP. 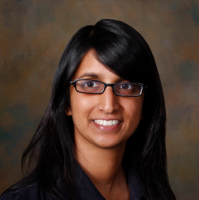 Dr Pandey is also an Assistant Clinical Professor in the UCSF Department of Laboratory Medicine and is the Associate Program Director for the BCP/UCSF Transfusion Medicine Fellowship. 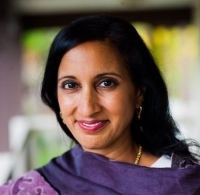 Dr. Pati is currently Associate Professor and Scientific Director of Cellular Therapies at the University of California San Francisco (UCSF) - Department of Laboratory Medicine. She is by training a cancer vascular biologist with an interest in the role of endothelial dysfunction and vascular compromise in the pathogenesis of human disease- specifically trauma and traumatic brain injury (TBI). Dr. Pati’s specific areas of investigation involve the use of stem cells, blood products and novel resuscitative modalities that can mitigate endothelial dysfunction, inflammation and coagulation disturbances found in traumatic injury. Dr. Tho Pham is currently the Medical Director at the Stanford Blood Center. 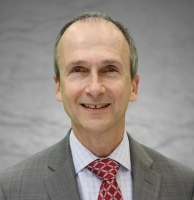 His operational research interests include optimizing data flow between hospitals and donor centers to create a seamless vendor-managed inventory platform. Lisa Robinson is the Director of Culture Transformation and Employee Development at Blood Systems, leading a team that focuses on employee engagement, leadership development, leadership coaching, talent management, change agility and culture transformation. Prior to joining Blood Systems, Lisa worked at Banner Health, Arizona State University and American Express. As a certified ICF coach with over 1000 hours of executive coaching experience, Lisa brings a compassionate, collaborative mindset as she serves as a strategic partner and internal coach. Lisa has spent the last 25 years in the field of education, consulting and coaching. Lisa received her Bachelor's degree in Asian Studies from the University of Victoria, in Victoria, British Columbia and her M.Ed. in Educational Leadership from Northern Arizona University. Dr. Rosenbaum is the South Central (New Mexico & Texas) Division Medical Director with Blood Systems, Inc. She is the Medical Director of a small apheresis program in West Texas. She is also an attending physician in Clinical Pathology and Apheresis at the University of New Mexico, Department of Pathology. MD - Georgetown - 1976; JD - Catholic U - 1990 Practiced pathology and transfusion medicine for 35+ years in community hospitals, academic centers, blood centers, cord blood banks; with FDA for 3 years in mid-'80s; retired 3 years ago. 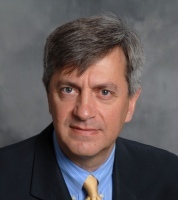 Frequently invited speaker; former president of both AABB and SABM; inspector/assessor for >30 years; headed accreditation programs for AABB; author/editor of numerous publications; many international friends and colleagues. Dr. Salima Shaikh is Board-Certified in Clinical Pathology and Blood Banking/Transfusion Medicine. She received her Bachelor of Arts degree at Wellesley College and Doctorate of Medicine at the University of Arkansas for Medical Sciences. She attended Massachusetts General Hospital for her Clinical Pathology residency training and the Harvard Medical School Fellowship Program in Transfusion Medicine for her fellowship training. Prior to joining Blood Centers of the Pacific in 2014, Dr. Shaikh was Assistant Medical Director at the American Red Cross in St. Paul, Minnesota for four years. She has also served as an adjunct faculty member in Transfusion Medicine at the University of Minnesota Medical Center and the Veterans Affairs Hospital in Minneapolis. She is a member of the American Association of Blood Banks (AABB) and the California Blood Bank Society (CBBS). Over 25 years experience in blood donor centers and transfusion services at tertiary care hospitals and a local blood supplier. Currently serving the 15 Southern California medical centers in the Kaiser Permanente system as the regional compliance officer. 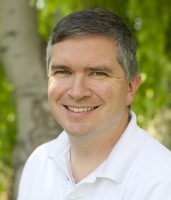 Rob Van Tuyle is the President of the Blood Services Division of Blood Systems. 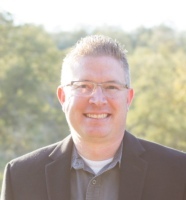 Prior to joining Blood Systems, Rob was the CEO of BloodSource located in Sacramento, CA. Rob's background is in finances, having been the CFO at a variety of venture backed tech startups as well as a 10 year career with Ernst & Young. 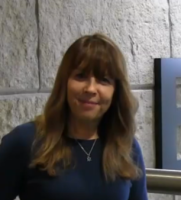 Dawn Ward, MD is an Associate Medical Director of the UCLA Transfusion Medicine service. She also serves as the Associate Director of the Center for Pathology Research Services. After obtaining her undergraduate degree from Spelman College, Dawn worked in clinical and commercial cell culture manufacturing and as a quality and compliance officer at Amgen. She subsequently earned her medical degree from Loma Linda University, School of Medicine. She completed a residency in Clinical Pathology at UCLA, David Geffen School of Medicine and a Transfusion Medicine fellowship at the National Institutes of Health. Her current interests include clinical laboratory quality improvement and blood utilization. 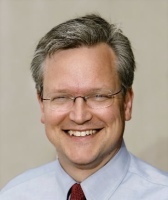 Dr. Westhoff is executive scientific director of the Laboratory for Immunohematology and Genomics at the New York Blood Center and the newly established National Center for Blood Group Genomics. The primary focus of her research is to improve patient care and transfusion safety through the use of genomics with an emphasis on patients with Sickle Cell Disease. She is considered an expert on the Rh system, and has published more than 90 scientific papers and authored numerous book chapters. She is an associate editor for the Genomics section of the journal Transfusion, an editor of the AABB technical manual, and has served on numerous AABB committees including the board of directors. Also active in ASH and ISBT, she has lectured nationally and internationally and is a reviewer for numerous journals and abstracts for U.S. and international meetings in hematology and transfusion medicine. 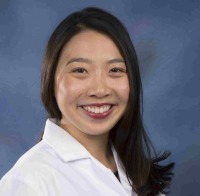 Jennifer Woo completed medical school at Wake Forest University School of Medicine and residency training in Anatomic and Clinical Pathology at UCLA. She is currently the transfusion medicine fellow at UCSF-BCP. Her interests include patient blood management, clinical informatics, health care quality improvement, point-of-care testing, and coagulation. She is actively involved in national pathology organizations, where she has held numerous leadership roles. As Director of Marketing for OneBlood, Tirzah Zielinski leads all external donor communications and ensures the organization’s messages are conveyed to all audiences. She also is responsible for marketing the organization through campaigns and initiatives within the community to further educate the public about the importance of blood donation. 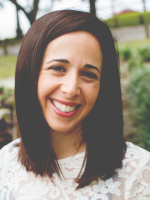 Tirzah is responsible for leading the development and execution of strategic donor marketing plans and tactics to motivate and educate donors about the importance of blood donations. She serves as leader in forging relationships with corporate partners that will help increase collections and create public awareness. She is recognized for her achievements in implementing new programs, including donor frequency and recognition. Tirzah has also played an important role in developing and creating a new app and working with the business intelligence team in creating new reporting to allow for more informed decisions.